THE EDGE: 817 sq.ft. (all legal sq.ft.) 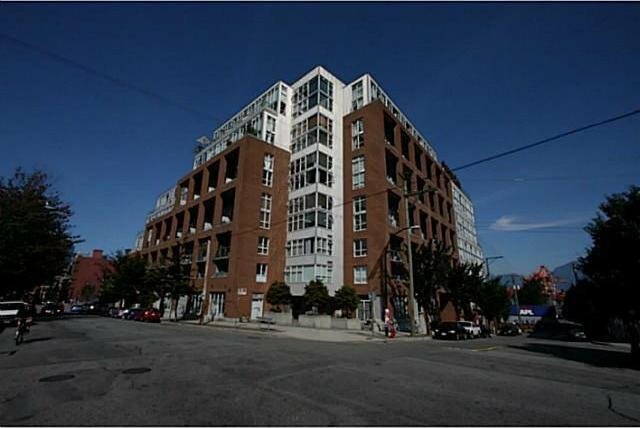 1 bed & 2 bath double height loft with 2 parking. Everest size views of the Harbour, Pan Pacific, City & North Shore Mtns. Both bathrooms have been fully updated, 4 pc upstairs in the bedroom area and a 2 pc on the main. Partial kitchen upgrades and lots of little tweaks to the unit. Steps from all the shopping and dining the Gastown offers. Gas range and fireplace are a few perks but the biggest of them all is the 700 sq.ft. Emily Carr "esque" artist amenities building incls: wood, metal and ceramics shops, photo lab, gym, music and dance rehearsal space and much more, one of a kind facility that no other building offers.